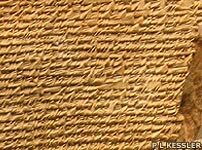 The highly important Sumerian King List was written in Sumerian cuneiform on clay tablets, with the first version probably appearing during the Ur III Period (circa 2150-2000 BC). The list presumed to detail the dominant, and "official", kings from the beginning of history - when kingship was first handed down from Heaven. This was passed from city to city through military conquest. In some ways it appears to be a mixture of fact and fantasy, including as it does a list of the antediluvian kings of Sumer and mention of the Flood itself. However, archaeological evidence supports a Flood of sorts at the start of the third millennium BC which would have seemed like a disaster for the farming Sumerians, so the kings themselves could also have a basis in half-forgotten fact. 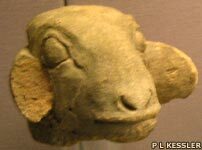 Many of the historical kings are confirmed by archaeology, but there are also kings who are confirmed by other sources who are missing from the list, such as the priest kings of Lagash. There was probably some political play at work in its composition. The list also places some contemporaneous dynasties one after the other, as if they followed each other, handing on the kingship in turn. Due to the lack of a more accurate source of information, the list plays a central role in our understanding of the chronology of the third millennium BC. However, that presence in the list of dynasties which plausibly reigned simultaneously, but in different cities, makes it impossible to accurately calculate a strict chronology. Taking this into account, many regnal dates have been revised in recent years, and are generally placed much later than in older publications, sometimes by an entire millennium. Some scholars have proposed a re-reading of the units given for the reigns of the earlier kings, possibly taking the figures, which are given in sars (units of 3600) for the antediluvians, as being either decades or simply years. In addition, uncertainty over certain periods, especially the duration of the Gutian period, also makes the accurate dating of events which predate the Ur III Period virtually impossible. There are several versions of it which have appeared on a great many tablets, and they do not always agree with each other, often offering different spellings and sometimes different names for the dynasties of kings. The version replicated here is based on an inscription which was found on a block of stone discovered in archaeological investigations at the site of the late Sumerian city of Isin. It is an update of earlier Sumerian king lists, inscribed during the reign of Damiqilishu of Isin (1814-1791 BC) to add Isin's kings to Sumer's royal roster and legitimate their claim to power in the decades following the collapse of Sumerian civilisation . Unfortunately, by this time Isin was a shadow if its former self, and Damiqilishu was the last of its kings. As the inscription was made only a few years before Hammurabi of Babylon captured southern Mesopotamia in the 1760s BC and added it as a province to his new Babylonian empire, it is virtually a complete list of the kings of the land once called Sumer. The Babylonians and, to the north, the Assyrians, continued their own versions of it in their own languages, and naturally the earlier names became corrupted. 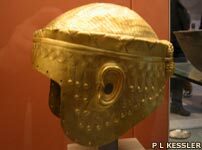 Nevertheless, it survived to the third century BC when it was popularised by the Akkadian writer and astronomer, Berossus, for the Macedonian court of Alexander the Great. An earlier surviving clay tablet was dated by the scribe who wrote it to the reign of Utukhegal of Erech (Uruk), which places it at around 2125 BC. The Sumerian kings exercised power in eleven cities in southern Mesopotamia. This amounted to a total of 134 kings (MS P4+Ha has 139 kings), who altogether ruled for 28,876 + X years (MS P4+Ha has 3,443 + X years). 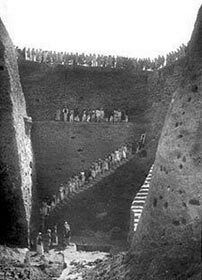 When kingship was first handed down from Heaven, the city of Eridu was chosen as the seat of kingship. 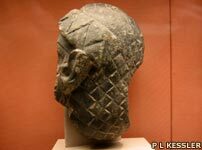 In Eridu, Alulim ruled for 28,800 years as king and Alalgar ruled for 36,000 years. The two kings ruled for a total of 64,800 years and then kingship was removed to Bad-tibira. In Bad-tibira, Enmenluanna ruled for 43,200 years; Enmengalanna ruled for 28,800 years and Dumuzi, the shepherd, ruled for 36,000 years. The three kings ruled for a total of 108,000 years and then kingship was removed to Larak. In Larak, Ensipazianna ruled for 28,800 years before kingship was removed to Sippar. In Sippar, Enmeduranna ruled for 21,000 years and then Sippar was abandoned and its kingship removed to Shuruppak. In Shuruppak, Ubartutu ruled for 18,600 years [and then Zin-Suddu ruled, ] and then the Flood came. Eight kings in five cities ruled for 241,200 years before the Flood swept over the land. This name is present on approximately half the versions of the list. Zin-Suddu is warned by the god Enlil to build a large boat to escape the coming Flood. After the Flood, kingship was handed down from Heaven for a second time, this time to the city of Kish which became the seat of kingship. In Kish, Gaur ruled for 1,200 years, Gulla-Nidaba-annapad ruled for 960 years; Palakinatim ruled for 900 years; Nangishkushma ruled for 670 years, three months and three and-a-half days. Bahina ruled for 300 years; Buanum ruled for 840 years; Kalibum ruled for 960 years; Galumum ruled for 840 years; Zukakip ruled for 900 years; Atab ruled for 600 years; Mashda, the son of Atab, ruled for 840 years; Arurim, the son of Mashda, ruled for 720 years. Etana, the shepherd who ascended to Heaven and made firm all the lands, ruled for 1,560 years; Balih, the son of Etana, ruled for 400 years. Enmenunna ruled for 660 years; Melam-Kish, the son of Enmenunna, ruled for 900 years; Barsalnunna, the son of Enmenunna, ruled for 1,200 years; Meszamug, the son of Barsalnunna, ruled for 140 years; Tizkar, the son of Meszamug, ruled for 305 years. Ilku ruled for 900 years; Iltasadum ruled for 1,200 years; Enmebaraggesi, the king who smote the Land of Elam, ruled for 900 years ; Agga, the son of Enmebaraggesi, ruled for 625 years. All told, twenty-three kings ruled for a total of 24,510 years, three months and three and-a-half days before Kish was defeated in battle and its kingship carried off to Eanna. 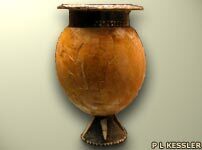 Enmebaraggesi is the first name on the list whose existence can be confirmed through archaeological findings. After kingship was brought to Eanna, Meskiaggasher, the son of the Sun God, Utu (Shamash), ruled as both en (priest) and lugal (king) for 324 years during which time he entered the sea and climbed the mountains, Enmerkar, the son of Meskiaggasher, the king of Uruk who had founded Uruk, ruled for 420 years. 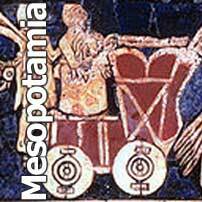 Eanna was a town close to the city of Uruk, which was itself founded by the second king of the dynasty, Enmerkar. Lugalbanda, the shepherd, ruled for 1,200 years; Dumuzi, the fisherman who came from the city of Kuara, ruled for 100 years; Gilgamesh, whose father was a nomad (or perhaps even the previous king, Lugalbanda), ruled for 126 years ; Urnungal, son of Gilgamesh, ruled for 30 years. Udulkalamma, the son of Urnungal, ruled for 15 years; Labasher ruled for 9 years; Ennundaranna ruled for 8 years; Meshede, the smith, ruled for 36 years; Melamanna ruled for 6 years; and Lugalkidul ruled for 36 years. Although his existence has not yet been confirmed archaeologically, it is generally believed that Gilgamesh lived in around 2600 BC. All told, twelve kings ruled for a total of 2,310 years in Eanna before Uruk was defeated in battle and its kingship carried off to Ur. All told, four kings ruled for a total of 177 years before Ur was defeated in battle and its kingship carried off to Awan. All told, three kings ruled for a total of 356 years before Awan was defeated in battle and its kingship carried off to Kish. After kingship was brought back to Kish, ... [Susuda] ruled [for more than] 201 years; Dadasig ruled for 81 years; Mamagal ruled for 420 years; Kalbum, the son of Mamagal, ruled for 132 years; Tuge ruled for 360 years; Mennumna ruled for 180 years; Lugalmu ruled for 420 years, and Ibbi-Ea ruled for 290 (?) years. All told, eight kings ruled for a total of 3,195 years before Kish was defeated in battle and its kingship carried off to Hamazi. After kingship was brought to Hamazi, Hadanish ruled for 360 years before Hamazi was defeated and its kingship carried off to Uruk. Some sections of this version of the list have become damaged over the centuries to the extent that they are no longer legible, or are completely missing. Such gaps can usually be filled in by information from other tablets carrying the list, but the three Awan (Elamite) kings remain unknown. After kingship was brought to Uruk, Enshakanshanna ruled for 60 years; Lugalure ruled for 120 years, and Argandea ruled for 7 years. 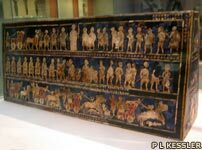 All told, three kings ruled for a total of 187 years before Uruk was defeated and its kingship carried off to Ur. After kingship was brought back to Ur, Nani ruled for ... [120 years]; Meshkiagnanna, son of Nani, ruled for ... [48 years]. All told, four kings ruled for a total of 116 (?) years before Ur was defeated and its kingship carried off to Adab. After kingship was brought to Adab, Lugalannemundu ruled for 90 years before Adab was defeated and its kingship carried off to Mari. This includes the ancient city of Eanna. After kingship was brought to Mari, Ilshu [Anabu] ruled for 30 years; ... [Anba], the son of Ilshu, ruled for 17 years; Bazi, the leatherworker, ruled for 30 years; Zizi, the fuller, ruled for 20 years; Limer, the gudu priest, ruled for 30 years, and Sharrumiter ruled for 9 years. All told, six kings ruled for a total of 136 years before Mari was defeated and its kingship carried off to Kish. There are also a further four kings who are associated with Mari who are not on the list, but their calculated dates coincide exactly with those kings who are on the list, and both sets start with Ilshu. After kingship was brought back to Kish again, Ku-Bau, the innkeeper, she who made firm the foundations of Kish, ruled for 100 years as 'king' before Kish was defeated and its kingship carried off to Akshak. After kingship was brought to Akshak, Unzi ruled for 30 years; Undalulu ruled for 12 years; Urur ruled for 6 years; Puzur-Nirah ruled for 20 years; Ishu-Il ruled for 24 years, and Shu-Sin, son of Ishu-Il, ruled for 7 years. All told, six kings ruled for a total of 99 years before Akshak was defeated and its kingship carried off to Kish. After kingship was brought back to Kish, Puzur-Sin, son of Ku-Bau, ruled for 25 years; Ur-Zababa, son of Puzur-Sin, ruled for 400 years; Simudarra ruled for 30 years; Usiwatar, son of Simudarra, ruled for 7 years; Ishtar-muti ruled for 11 years; Ishme-Shamash ruled for 11 years, and Nannia, the stoneworker, ruled for 7 years. All told, seven kings ruled for 491 years before Kish was defeated and its kingship carried off to Uruk. After kingship was brought back to Uruk, Lugalzaggesi [of Umma] ruled for 25 years before Uruk was defeated and its kingship carried off to Agade. After kingship was brought to Agade, Sargon, whose father (?) was a gardener, the cupbearer of Ur-Zababa, founded Agade and ruled for 56 years as its king; Rimush, the son of Sargon, ruled for 9 years; Manishtushu, a son of Sargon and the older brother of Rimush, ruled for 15 years; Naram-Sin, son of Manishtushu, ruled for 56 years, and Sharkalisharri, son of Naram-Sin ruled for 25 years. Then, who was king? Who was not king? 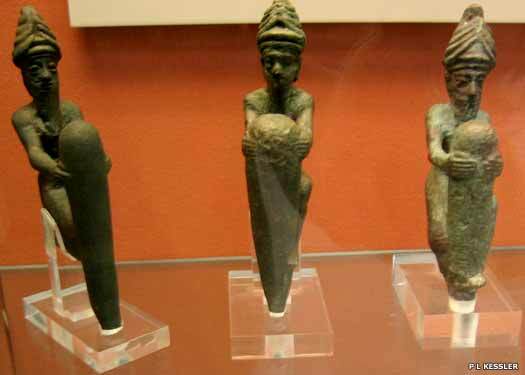 Igigi, Nanum, Imi and Elulu, the four of them were kings but ruled for a total of only 3 years. Dudu took control and ruled for 21 years and Shudurul, son of Dudu, ruled for 15 years . All told, eleven kings ruled for a total of 197 years before Agade was defeated and its kingship carried off to Uruk. After kingship was brought back to Uruk, Urnigin ruled for 7 years; Urgigir, son of Urnigin, ruled for 6 years; Kudda ruled for 6 years; Puzur-ili ruled for 5 years, and Ur-Utu ruled for 6 years. All told, five kings ruled for a total of 30 years before Uruk was smitten by the Gutian Hordes and its kingship carried off by them. This appears to be a period of civil war in Agade, or perhaps the city's version of Rome's 'Year of the Four Emperors'. Uruk's Fourth Dynasty could well have been ruling in southern Mesopotamia while this was happening, and not afterwards as the list suggests. After the Gutian Hordes seized kingship, everyone was his own king for 3 years; then Imta ruled for 3 years; Inkishush ruled for 6 years; Sarlagab ruled for 6 years; Shulme ruled 6 years. Elulumesh ruled for 6 years; Inimbakesh ruled for 5 years; Igeshaush ruled for 6 years; Iarlagab ruled for 15 years; Ibate ruled for 3 years; Iarla ruled for 3 years; Kurum ruled for 1 year; Apilkin ruled for 3 years; Laerabum ruled for 2 years; Irarum ruled for 2 years. Ibranum ruled for 1 year; Hablum ruled for 2 years; Puzur-Sin, the son of Hablum, ruled for 7 years; Iarlaganda ruled for 7 years; ... ruled for 7 years, and Tiriga (?) ruled for 40 days. All told, twenty-one kings ruled for 91 years and 40 days before the Gutian Hordes were defeated and kingship carried back to Uruk. After kingship was brought back to Uruk, Utuhegal ruled for 7 years, 6 months and 15 days before Uruk was defeated and its kingship carried off to Ur. After kingship was brought back to Ur, Ur-Nammu ruled for 18 years; Shulgi, son of Ur-Nammu, ruled for 48 years; Amar-Sin, son of Shulgi, ruled for 9 years; Shu-Sin, son of Amar-Sin [an error for 'son of Shulgi'], ruled for 9 years, and Ibbi-Sin, son of Shu-Sin, ruled for 24 years. All told, five kings ruled for a total of 108 years before Ur was defeated and its kingship carried off to Isin. After kingship was brought to Isin, Ishbi-Erra ruled for 33 years; Shuilishu, son of Ishbi-Erra, ruled for 10 years; Idin-Dagan, son of Shuilishu, ruled for 21 years; Ishme-Dagan, son of Idin-Dagan, ruled for 20 years; Lipit-Ishtar, son of Ishme-Dagan, ruled for 11 years. Ur-Ninurta ruled for 28 years; Bur-Sin, son of Ur-Ninurta, ruled for 21 years; Lipit-Enlil, son of Bur-Sin, ruled for 5 years; Erraimitti ruled for 8 years; Enlil-bani ruled for 24 years; Zambia ruled for 3 years; Iterpisha ruled for 4 years; Urdukuga ruled for 4 years, and Sinmagir ruled for 11 years. All told, fourteen kings ruled for a total of 203 years. The Sumerian King List ends.